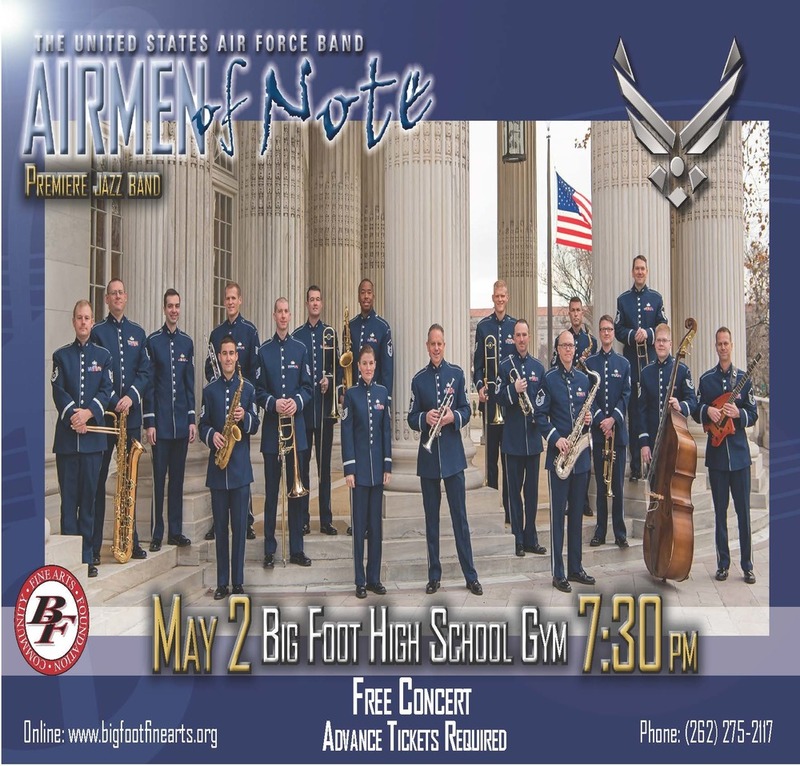 "On May 2nd at 7:30pm, the Big Foot Fine Arts Foundation is hosting the United States Air Force Band Airmen of Note. They are the premiere jazz band for the US military, and they are giving our community a completely free concert in the Big Foot High School gym. This opportunity is very unique and special. To be frank, this may be a once-in-a-lifetime opportunity to have a group of this caliber visit our school. Tickets are free, and are required to attend. Please visit www.bigfootfinearts.org to reserve your tickets. You may also call 262-275-2117 with any questions. I look forward to seeing you all there!"